The “must-read” report focuses on examples from California, North Dakota, Texas, and West Virginia, with special attention paid to policy changes at the Environmental Protection Agency (EPA) and the Interior Department—which have both seen Trump-appointed agency heads resign amid numerous ethics probes. Acknowledging a previous Times analysis of the 78 environmental rules—including many implemented under former President Barack Obama—that the Trump administration and Republican-controlled Congress have worked to eliminate, the report details how the EPA, at the behest of industry lobbyists, quashed a ban on the toxic pesticide chlorpyrifos, which has “sickened substantial numbers of farmworkers” in rural California, where more than a third of U.S. produce is grown. 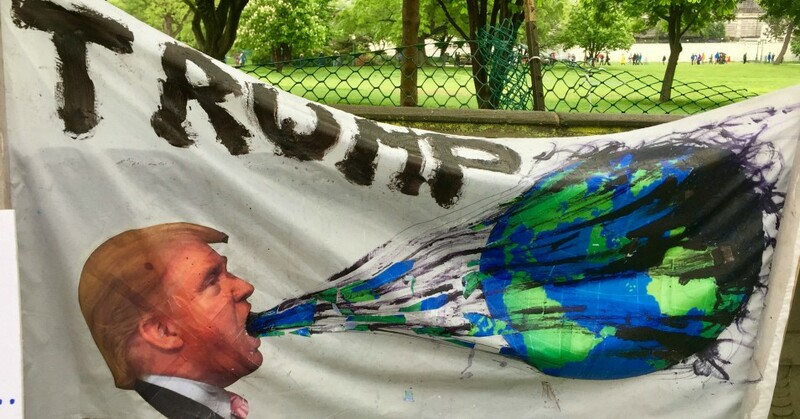 Since taking office, Mr. Trump has consistently sided with powerful economic constituencies in setting policy toward the air we breathe, the water we drink, and the presence of chemicals in our communities. In the process, he has frequently rejected or given short shrift to science, an instinct that has played out most visibly in his disdain for efforts to curb global warming but has also permeated federal policy in other ways. The Times also examines Trump’s rollbacks—and the subsequent public health consequences—of air quality regulations that aimed to reduce dangerous levels of sulfur dioxide pollution from coal-burning power plants in Texas; policies crafted to clean up West Virginia waterways polluted with arsenic, mercury, and selenium by the coal industry in West Virginia; and limits targeting flaring and leaks of methane on federal or tribal lands, including the Fort Berthold Indian Reservation in North Dakota. Progress is slowing—but there’s still progress. This is a great package on the real-world, human costs of Trump’s gutting of pollution regulations.